RB - these little birds really do brighten our winter, although on these dark, rainy days we seldom see the flash of colour from them. We are currently having a series of intense Pacific storm systems hitting the area and it is very dark right now (mid morning). Rain is just lashing against the windows - and I looked out and there was a male Anna's at the feeder by the kitchen window. It's funny, because I gave my neighbour a birthday card I'd made for her yesterday illustrated with the photos I'd posted above. 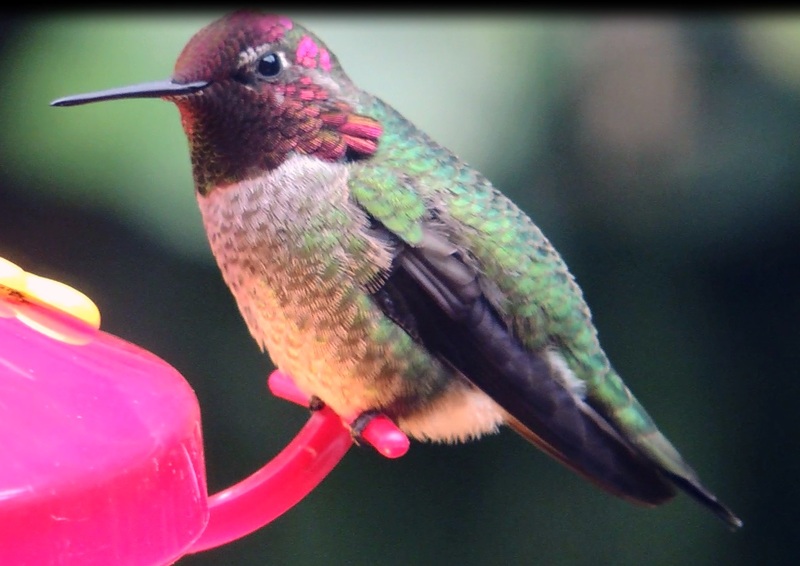 She said, with certainty, "We don't get those hummingbirds here", when I told her the photos were taken at my feeders. 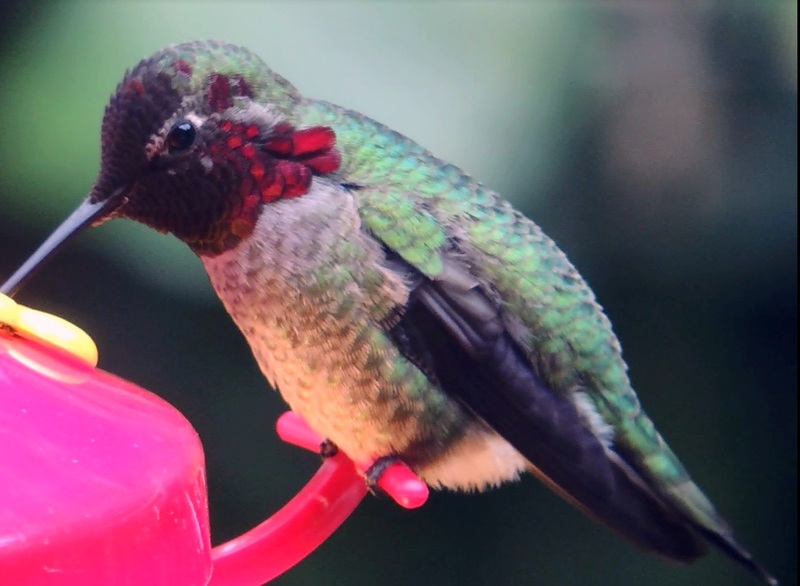 She knows we have hummingbirds all winter now, but thought the ones we have had no colour! I laughed and told her that they have to catch what little light we have these days to glow like they did in the photos. Interestingly, we have only noticed these hummingbirds here in the winter for the past 4 or 5 years. They were first observed in the south of Vancouver Island, in the Victoria area, (see map below). I live in the Nanaimo/Parksville area (about one third of the way up the Island) and they are now regular winter residents here. I have a friend in the Comox area who had not seen them overwinter there until this year - so the migration north seems to be ongoing. I guess we have global warming to thank. I just hope we don't have any nasty surprises in store this winter. I have been reading about Vancouver Island, Van. I was surprised that there is no land link to the mainland as the geology and instability is too challenging, engineering wise. So your only connection is by ferry? Yes, global warming is probably the reason you are getting the hummers now, Van. I visited Vancouver on a cruise (small eco cruise of less than 100 people) a little less than 10 years ago. I was just there for a day, but enjoyed your aquarium, especially the belugas. Yes, as Al says, neat place to live. I enjoy reading your posts seeing what it is like to live there. Vancouver Island is a great place to live, and even though a trip to the mainland means taking a ferry or a plane (I especially love the float planes) I never feel isolated. It is a large Island with some good-sized cities, and pretty much all that we need is here. It is spectacularly beautiful, and also has a relatively mild climate. Some of the creatures that are native to the island have evolved into distinct species - the bears (Ursus americanus vancouveri) and Vancouver Island marmots (Marmota vancouverensis) come to mind, as well as our tiny native red squirrels. But ... this is about the humming birds, so I will try to stay on topic! The winters are definitely milder than the ones we have known in the not-too-distant past. So far we have had little freezing, and last winter we did not even have snow that stayed on the ground (not that it ever stays for long). 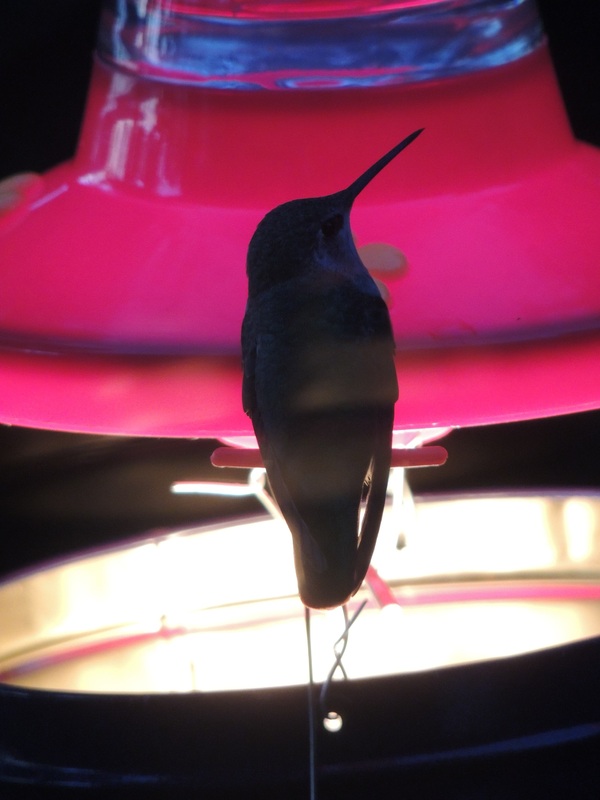 Below are some photos and a video of an Anna's hummingbird taken at this same time in December a couple of years ago when we had to heat the feeders to prevent the sugar solution freezing. 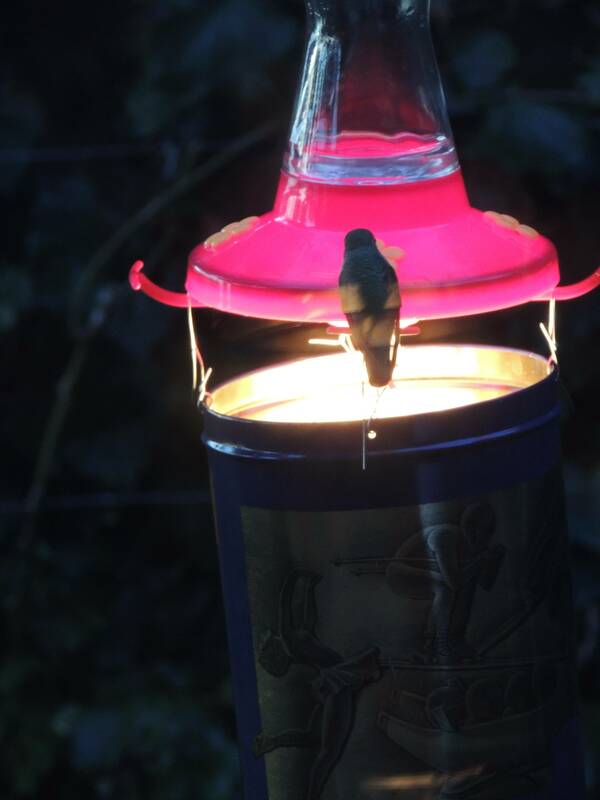 The hummingbirds are generally the last birds to visit our feeders, and in the evenings it seems that they come quite late, as it was almost dark when these photos were taken. I guess they were attracted to those glowing feeders, like beacons in the dark. Sometimes they just sit and bask in the warmth from the lamp below the perches! Here is a video made one early (dark) morning of the Anna's male perched in the plum tree which is only about 10 ft from his heated feeder. The head movement is very typical, and I think it is to make sure that his head and gorget reflect some light and flash of colour. That is an interesting map, RB. It appears that we don't get these hummingbirds along the west coast, although they do visit the interior of BC. I believe the Anna's hummingbirds are nesting already. We are seeing them gathering nectar and insects as well as feeding at the feeders. 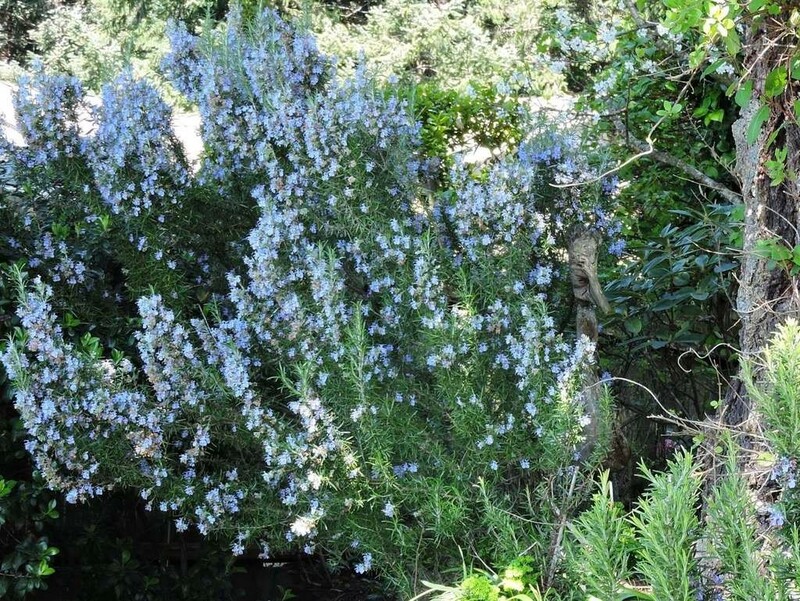 They seem to like the flowering Rosemary (pictured below in our garden). We have a lot of these, forming a 'hedge'. We see the Annas hummers 'grazing' those little blue flowers most of the winter. We are expecting to see the Rufous Hummingbirds any day now, and I have already put out extra feeders as we are definitely seeing more hummers, and more 'nectar' is being consumed. The arrival of the Rufous Hummingbirds here is heralded by the wild flowering currant - and they are blooming right now. The photo below was taken last March - and it is a wild bush that was planted by other birds that feast on the berries later in the season! I have been meaning to post here since the Rufous Hummingbirds returned in March. For a while it was crazy, with swarms of the feisty Rufous hummers reclaiming 'their feeders', and the Anna's putting up their protests! It was hard to keep the 3 feeders I had filled with the 'nectar' mixture (1 to 3 when cool over the winter, then 1 to 4 with warmer temps). Things have calmed down a lot now, with most of the male Rufous having left the hard-working females to build nests, then incubate without help. The Anna's are still around, but not as many of them now, also. I searched all around to see if I could find a nest, but it really is like looking for a needle in a haystack. The spot in the vine above our garage doors doesn't seem to have a new nest to replace the one we had a few years back. I would like to share some pics and videos of the Rufous in this area - on Hornby Island, actually, which is not far from where I live. 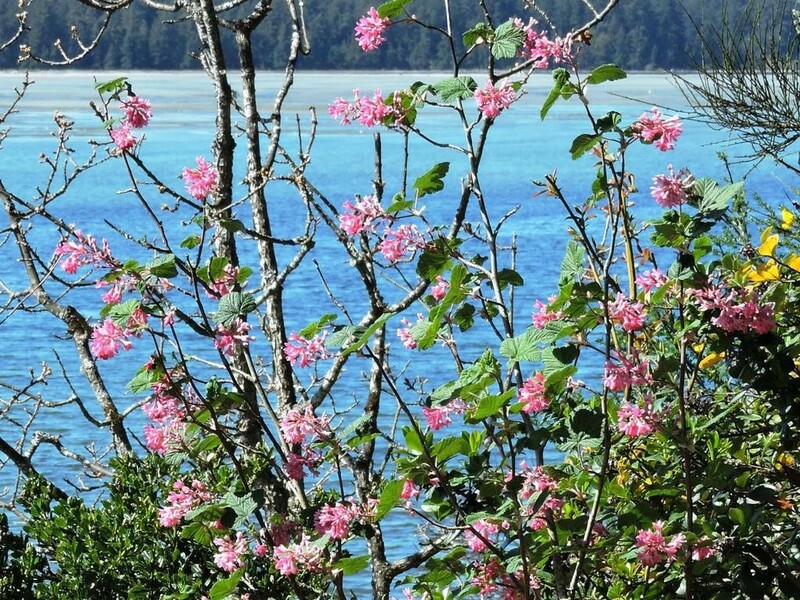 Hornby is known for its eagle cam, originally, but has a wealth of wildlife. A friend, a wonderful photographer, has been posting photos and videos of the hummingbird nest she has access to on Hornby. These photos in the Hornby forum (Our Nature Zone) are breathtaking.